Rekognition is a software suite which purports to serve various functions ranging from identifying specific facial features to comparing similarities in a large volume of photos. This gives the software potential value to law enforcement customers seeking, for example, to match a mugshot to security cam footage of a robbery. Critics are concerned that automating the policing process could have dire consequences if the software displays racial or other biases, especially as Amazon has pitched U.S. Immigration and Customs Enforcement on using this product. So far Amazon’s frontline defence against advocates and academics has been: researchers are setting the search parameters incorrectly. The parameter in question is something Amazon refers to as a “confidence threshold” or “similarity threshold”. 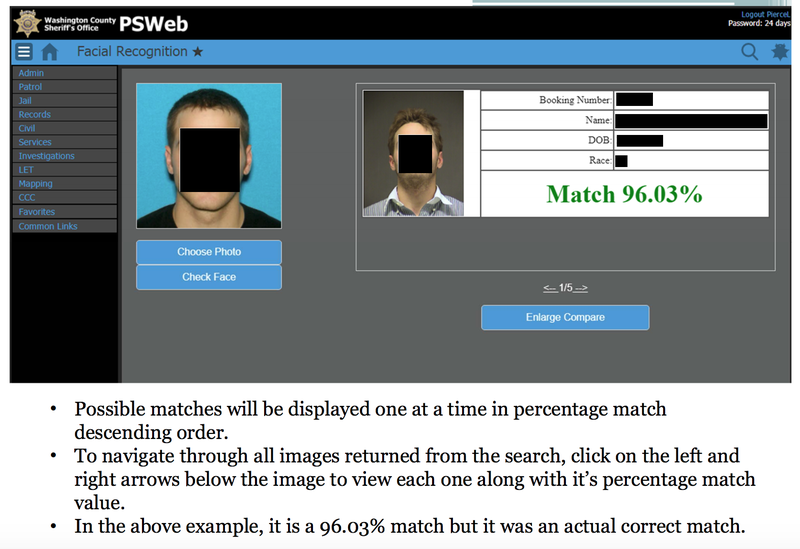 When acting on a query, the software also informs the user how closely the two photos match, scored out of 100 per cent, with the option to set a threshold that filters results below the defined percentage. While 80% confidence is an acceptable threshold for photos of hot dogs, chairs, animals or other social media use cases, it wouldn’t be appropriate for identifying individuals with a reasonable level of certainty. When using facial recognition for law enforcement activities, we guide customers to set a higher threshold of at least 95% or higher. Part of a slide presentation created by WCSO – disclosed in a Freedom of Information Act request filed by the ACLU – clearly shows a correctly identified image only earning a 96.03 per cent confidence score, a result which might have been omitted had Amazon’s guidance been followed to the letter. The same source within WCSO told Gizmodo that a “confidence score is not used anywhere in the process to make a decision and so no threshold is used in the search”. The PIO further informed Gizmodo that, while Amazon did supply documentation and other support on the software end, no direct training was given to the investigators who continue to use the suite. One Systems Project Analyst working in nearby Clackamas County – whose correspondence was made public via the ACLU-obtained FOIA documents – wrote that Rekognition’s “documentation is very lacking or wrong”. While the company’s agreement with WCSO states that the “customer will provide AWS with timely and appropriate access to personnel, documentation, data, systems and facilities,” Amazon declined to state whether it tracks the confidence thresholds employed by its clients. A spokesperson pointed us to an Amazon Web Services blog post from last week that states that the company will “suspend people’s use of our services if we find they’re using them irresponsibly or to infringe on people’s civil rights”. An Amazon spokesperson clarified that law enforcement clients failure to use a 99 per cent confidence threshold does not constitute an irresponsible application of Rekognition.